ס'איז דא אזא זאך ווי מעדיקעל מאריכאנא וואס ווערט באניצט דורך מענטשן וואס ברויכן דאס, די סארט אויל פארמאגט אין זיך THC וואס האט א שטארקע אפעקט אויף די גאנצע מענטש, אין טאקע וועגן דעם איז עס נאכנישט ליגעל! די CBD אויל איז נישט מער ווי א צווייטע קעמיקעל וואס ליגט אין די זעלבע פרוכט, אין איז א אנדערע זאך אינגאנצען! סאיז טאקע נאריש זיך צו טענ'ן מיט דיר בשעת ווי די האסט נישט קיין ידיעה אין א' ב' פון די מציאות, כהאב דיך געשיקט זיכן אין גוגל, און אנשטאט דעם שרייבסטו איבער די זעלבע שטותים? מיין גאנצע אינפארמיישן דא קומט פון שעות שעות פארשן די נושא אין ערנסטע סייטס פון גרויסע דאקטוירים ווי ד"ר בלייר אין אמעריקא און ד"ר משולם אין א"י און נאך. דו האקסט אין טשייניק אויף א שווערע פארנעם. אויך דר ג׳וני גרינפעלד און ארץ ישראל א אונקולוג האלט אז עס קען היילן קענסער, און ער פלעגט טאקע זיין פון די איינציגע דאקטוירים און ארץ ישראל וואס פלעגט פארשרייבן גרויסע דאוסעס פאר קענסער פעישנס, ביז דער קרנקהייט מיניסטער און מדינת ישראל מיט דעם גרויסער בארד און חסידישע לבוש האט אים אוועקגענומען די רשות צו געבן מער ווי 50 גרם א חודש, און אויך נאר פאר זיינע פעישנס. פעלעד האט געשריבן: מיין גאנצע אינפארמיישן דא קומט פון שעות שעות פארשן די נושא אין ערנסטע סייטס פון גרויסע דאקטוירים ווי ד"ר בלייר אין אמעריקא און ד"ר משולם אין א"י און נאך. דו האקסט אין אויף א שווערע פארנעם. א דאקטור וואס האט אסאך געפארשט די קאנאביס. In today’s interview I get to speak with US family physician, Dr Philip Blair, about how CBD oil benefits numerous systems in our body; helping us maintain to balance our health. Philip is very passionate about educating people on the benefits of using cannabidiol oil to help improve serious medical disorders and improve our overall wellbeing. In today’s interview Philip helps us understand, how the endocannabinoid system works, and, why CBD oil is essential in maintaining balance throughout our body. We have CBD receptors in all our major organs; our gut, our brain, and also our nervous system. It is not surprising to hear then that CBD would play such a significant role in our health. If you know someone who is interested in how they can use CBD oil to help with specific psychological or physical conditions such as, anxiety, depression, pain, diabetes, appetite regulation, PTSD, cancer or arthritis (just to name a few), or someone who is interested in just feeling better overall, then this interview is for them. I enjoyed this interview and after talking to Philip I have a better understanding about the mechanisms that allow cannabinoids to have such a large impact on our bodies. Also, how we can incorporate taking CBD oil into our daily routine to see improvements in many different aspects of our physiology and psychology. Special thanks to Philip for joining me on the show. Enjoy the episode! [00:19] – Introducing, Dr Philip Blair, a family physician and consultant in disease management for workers insurance programmes. He is a retired US Army Colonel who was a combat physician in the Gulf war. Since 2014 he has been treating patients and consulting about CBD and how it can improve serious medical disorders. [01:56] – Gary shares how his interest in CBD grew after getting some CBD spray then watching a The Scientist documentary on Youtube and learning more about Dr Raphael Mechoulam who discovered THC and CBD. [02:24] – Philip shares his background going from being a family physician, to the military, to disease management. [03:15] – What is cannabidiol, commonly refered to as CBD? It comes from the hemp/cannabis plant which comes in two varieties. Philip explains how marijuana contains the THC, which causes a high, whereas hemp contains CBD, which has the health benefits and has very little THC. [04:16] – There are several different cultivars of hemp; sativa being the most common variety that contains the highest levels of CBD. There are other cultivars that contain different combinations of other important substances (including terpenes, flavonoids and phytols) that affect how CBD works. This combination of substances is hailed as the entourage by Dr Mechoulam. [06:47] – Philip explains why the extraction process is important when it comes to the concentration of substances and the quality we are getting. Elixinol’s Super Critical Fluid Extraction technology uses CO2 as a solvent in their extraction process allowing them to pull all of the ‘entourage’ substances without containing any of the harmful ones. [07:44] – Another factor people should be looking at is the certificate of analysis conducted by a third party that examines exactly what is in the product. Questions to consider are: How much CBD does it contain? Does it contain any THC? What other cannabanoids are present? No toxins, solvents, heavy metals, pesticides or biological contaiminants such as bacteria should be present. [08:39] – CBD is a small fat molecule not unlike other oils we consume, such as the medium chain triglycerides or coconut oil. Philip explains how CBD is processed by the fat metabolising mechanism in our body, using a system we don’t know a whole lot about, but it is important to the body’s overall function. [09:30] – Ketone bodies seem to be good for our brain, CBD also seems to be following the same pathways. [10:25] – Is hemp oil different to CBD oil? It is important to look at the label closely to figure out the concentration of CBD in the product. [11:53] – The body has its own system for managing CBD-like molecules which was discovered all the way back in 1992. This system controls many others in our body such as our appetite, emotions and neurotransmitter regulation, but there are many, many others. Philip explains more about how this works. Despite numerous research articles, there is still a lack of awareness by physicians and the general public about the key role the endocannabinoid system (ECS) plays in our lives. [14:10] – The body produces its own CBD molecules. When breastfeeding babies get a dose of it from the breast milk. Chocolate and some other foods also contains some of this molecule. [15:18] – CBD receptors are in our gut, brain and multiple other systems in the body. But less than 5% of medical students in the US are being taught about this. [16:39] – As it turns out, we can have an endocannabanoid deficiency. In fact, this deficiency is linked to numerous diseases. Depression, anxiety, PTSD, different types of cancers and Chron’s disease are all examples of disorders that have disturbances in the ECS. [17:44] – Is there any risk of toxicity with CBD? Philip explains that there is no toxicity and side effects are rare, occuring only at high doses. At high doses, well over 200 mg, there is the potential that CBD could interact with other medication but this has not occurred at normal doses with a high quality product. [19:00] – In terms of common interactions, the only medications that have been identified as having been altered by the use of CBD are those used for epilepsy, schizophrenia, and Parkinson’s disease. Philip explains that positive interactions can also occur and that CBD can often successfully replace the need for antidepressant drugs. [22:20] – How do supplements work with CBD? Philip recommends taking Omega 3 oil with CBD supplements, as the two work synergistically. Two other important supplements to consider are, vitamin D and Iodine. [24:27] – Recent news has seen a mother have the CBD she needed for her epileptic son, confiscated at the airport. We know both ketones and CBD have benefits for the brain. Alzheimer’s disease, seizures, autism, and diabetes all respond to high-fat low-carb diets and CBD works on some of the same pathways. [27:44] – It is a good idea to take CBD for prevention and maintenance; it down-regulates the inflammatory immune response that is prevalent in so many diseases, including atherosclerosis. [29:34] – In addition to reducing inflammation CBD helps with pain by regulating neurotransmitters which are involved in the pain pathways. Philip explains how CBD does not always have a stimulating effect but can also act to depress certain areas. [30:58] – Philip explains how in pain regulation CBD has both analgesic and anti-inflammatory effects. Unfortunately, studies looking at sciatica and the nerve pathways have not yet been done in humans. [32:45] – Pharmaceutical products are often isolates; in this case they contain CBD only without the full spectrum of beneficial compounds that create the necessary balance. [33:08] – CBD helps regulate the homeostasis in the body, in every system right down to the cellular level where it protects the normal cell from damage. Philip explains the benefits of CBD for cancer treatment; it promotes the death of cancer cells enhancing the chemotherapy while protecting the normal tissues against the side effects. CBD is an adaptogen instituting the right kind of response to a particular situation to maintain balance and health in the body. [37:58] – Anxiety can be controlled and regulated by CBD in 95% of the time with immediate results. Because there is no toxic dose individuals can adjust their dose to suit their own particular needs. [39:43] – For seizure patients, the dosage guidelines are at around 1 mg per kg for a therapeutic dose, but this goes higher on rare occasions. For everybody else, Philip recommends they start with a standard serving on the bottle and double the dose until they can feel changes. Sharpening of the vision, clarity of thought as well as changes in performance often occur. [47:48] – Philip explains how CBD can help people with PTSD and put them in remission. He has seen great improvements with his own work with veterans in this area. [51:27] – There are potential benefits with taking CBD while fasting as its effects are enhanced, its mechanisms seem to improve and lower doses are needed. Exogenous ketones can then add to that further, making it even more effective. [52:58] – When is the best times to take CBD? Philip recommends taking it with a fat, saturated is most likely best, and avoiding taking it with large meals. But, in terms of the best time of day, peple should figure out what works best for them and their particular situation and lifestyle. Because it is a food product it can be taken as often as needed. [55:02] – Is there a percentage we should aim for, for general health? Because all products are different we should look at the number of mg of CBD. Another consideration is that the bioavailability of each product can differ. [56:27] – Taking it sublingualy, underneath the tongue is the best way to get immediate effects. It can also be vaporised with 95% delivery efficiency or taken in capsule form, which can take a couple of hours for the effects to kick in. Another way it can be used is topically, by rubbing it onto an affected area for pain relief. [58:20] – Rather than taking high doses of highly concentrated product, Philip recommends using a full spectrum product for better results. In addition we can use complements to the ECS, like the Omega 3. For maximum improvements, it is important to consider their overall lifestyle habits including diet, meditation, sleep quality and exercise. [1:00:50] – How does CBD help someone with diabetes? It improves the signaling within the body and reduces inflammation, protecting different cell types from damage due to elevated glucose and reducing complications. Philip shares an example of one of his patient improvements. [1:03:04] – To wrap up, we discuss the challenges of testing on humans and the barriers within the administration. Philip concludes by pointing out that CBD could result in significant financial savings and provide relief to the burden of the opioid epidemic, Alzheimer’s disease, and dementia by getting people healthy and back to work. [1:05:37] – To follow Philip find him on YouTube where he shares his lectures, he is also on Facebook and does interviews, podcasts, conferences and is available for consultations through the Elixinol company. He also has his own website drblairmd.org and recommends projectCBD.org as one of the best sources for people wanting to find out more about CBD. איך לייקן גארניש, כהאב שוין פריער געשריבן עטליכע מאל אז סאיז א מחלוקת הפוסקים, סאיז דא דאקטוירים וואס האלטן אז ממיז האבן אויך thc און סדא וואס האלטן אז מדארף ניש. ציטירט האב איך כדי דיך צו ווייזן אז סהעלפט יא פאר קענסער און נישט ווי די האסט געשריבן מיט אזא זיכערקייט אומוויסענדיג די מציאות. ואגב, די אויל האט אויך thc כדי יוצא זיין יענע שיטות, סאיז נאר זייער ווייניג פראצענט כדי סזאל זיין ליגאל. קליינע קוואנטומס פון THC איז לעגאל? אהא. מ'קען טאקע היילען ק..... מיט אזוי ווייניג? פעלעד האט געשריבן: ווער איז זיי? די פשוטע האט 1000MG און די אנדערע איז כמעט דאפלט שטארק סאיז 1800 MG, דאס מיינט אז אויב למשל פון די 1000MG דארפסטו נעמען 10 טראפן, וועסטו פון די אנדערע נעמן נאר 5 טראפן, אזוי האלט זיך עס דאפלט צייט און סקומט אויס ביליגער, נאר די שטערקערע האט א שווערערע טעם. די דריטע זאך כאפ איך נישט וואס ס'מיינט, קען זיין סאיז טראפן פאר עלעקטראניק סיגרעט צו וועיפן. ווי אזוי איז די קוואלעטי פון די קאמפאני? 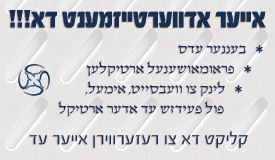 א הערליכע קלארע וידאו פון א דאקטור געט קלאר צו פארשטיין וואס CBD טיט אין אונזער גוף. דארט פארקויפט מען העמפ אויל, וואס ווי שוין אויבן דערמאנט איז גאר א אנדערע זאך ווי CBD אויל. אויב צו פארשטיין פארוואס עס העלפט, קענט איר זען אין די ווידאו וואס כהאב געברענגט די פריערדיגע תגובה. איך פארשטיי ענק נישט, סשטייט דארט קלאר העמפ אויל, אין איר זאגט אז סאיז נישט מסתבר וכו'?! טיט אן אייער גלעזער און ליינט נאכאמאל! די חילוק אין פרייזן קען זיין וועגן אסאך זאכן, קען זיך ווענדן אין פראצענט פון די cbd סידס וואס סהאט וכו'. נעמט נאר אין אכט אז עס דארף א גיטע הכשר, סקען זייןאין דעם פעטנס פון בעלי חיים. kosher gold מאכט יעצט cbd קרים, מסתמא איז די אינוועטייזמענט פון זיי. איז דא סטאדיס צו ס'העלפט פאר ליים דיזיס? די סי בי די אויל קומט פון א פלענט וואס הייסט קענביס, און די פלענט איז א גרינע גראז וואס אויב מ'טריקענט דאס אין מ'רייכערט דאס קען מען דאס שפורען אזוי ווי א לייכטע דראג, מ'ריפט דאס מאריכאנא, אין אנגעבליך ווערט מען פארשיכרט דערפון, און פארדעם איז עס נישט ליגעל אין רוב אמעריקא. אין גוויסע שטאטען איז די קענעביס דראג געווארען ליגעל, ווייל מ'טענהט אז כאטש ס'מאכט טאקע שיכור פינדעסטוועגן איז עס נישט שעדליך מער ווי אלקאהאל וכדומה, אין אין טייל פלעצער איז עס נאר ליגעל פאר מעדיקעל סיבות. כ'האב געהערט זאגען אז היינט ציטאגס קען מען עס שוין אפילע באקימען אין נוא יארק, ווייל מ'ארעסטירט שוין נישט פארען האנדלען מיט די סחורה. יעצט די סיבה פארוואס די קאנביס מאכט שיכור איז ווייל ס'פארמאגט אין זיך א קעמיקעל וואס רופט זיך THC (פרעג מיך נישט וואס דאס מיינט ווייל יאך ווייס נישט, אז איר ווילט קאנט איר גוגלען וועט ארויפקומען א בילד פון די פינקליכע צאמשטעל פון די מאלעקולס פון די סארט קעמיקל). האט מען ערפינדען אזא מין וועג ארויסצונעמען די קעמיקל און מאכען דערפון אזא מין אויל וואס מע רייכערט אדער מ'נעמט איין אויף אנדעערע אופנים. לויט טייל דאקטוירים איז די THC קעמיקעל שטארק אפפעקטיו פאר געוויסע סארט יסורים, ווייל סע באראאיגט די מענטש, אויכעט זענען דא וואס טענה'ן אז ס'קען העלפען פאר אנדערע זאכען. ס'העלפט אבער אויכעט ווייניגער... אין דאס איז זיכער אז פאר ערענסטע מחלות איז דאס בכלל נישט געמאכט. 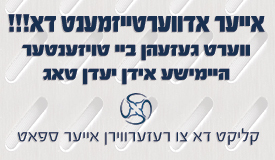 [9/16, 9:30 AM] ‪+972 2-3310‬: מי זה הרופא? [9/16, 10:53 AM] ‪+972 3310‬: הוא יהיה מעוניין להתראיין לדעתך? [9/16, 12:51 PM] ‪+972 5-4965‬: לא ניראה לי. הוא שומר על ... שלו. לעצט פאראכטן דורך מצפים לישועה אום מאנטאג סעפטעמבער 17, 2018 11:19 am, מאל פאראכטן געווארן 1 סך הכל. א גוטע ניק האט געשריבן: איז דא סטאדיס צו ס'העלפט פאר ליים דיזיס? ערשטנס, יעדע אזא שאלה קענסטי זיכן אליין אין גוגל, שרייב אריין cbd helps... און די נאמען פון די מחלה, וועסטי גלייך זען וואס מזאגט וועגן דעם. Numerous Lyme disease patients are turning to CBD (cannabidiol) to help manage a myriad of symptoms. From capsules, tinctures, and balms, it’s readily available in many forms at health food stores around the country. But what is CBD? CBD is one of several components found in the Cannabis sativa and indica plant. It may contain trace amounts of THC, but it doesn’t have the psychoactive effects of medical cannabis (marijuana). 2It’s a natural anti-inflammatory. Copious amounts of Lyme patients struggle with chronic pain, and often, they can’t find an appropriate medication to relieve this distressing symptom. Currently, CBD is a hot topic in the Lyme community, and perhaps, rightfully so. In fact, a 2012 study in Journal of Experimental Medicine demonstrated this unique compound’s ability to suppress inflammation and nerve pain. When administered to rodents, the study noted CBD “and its modified derivatives significantly suppress chronic inflammatory and neuropathic pain without causing apparent analgesic tolerance.’’ For humans, this means CBD, along with other compounds, may be an innovative treatment strategy for people who suffer from chronic pain. But unlike some traditional pain medications, you’re less likely to build up a tolerance to it. The Centers for Disease Control and Prevention lists Lyme Disease as the fastest growing vector-borne infectious disease in the US. The disorder affects nearly 300,000 people in the United States, but the number is projected to be higher since most Lyme patients are usually misdiagnosed with other conditions. Ticks are generally responsible for spreading Lyme disease, and symptoms include a rash, severe headaches, facial palsy, arthritis, nerve pain, and more. Antibiotics have generally proved to be less effective in treating the condition. However, patients are now staring at the possibility of a new treatment — CBD (cannabidiol) — to alleviate the many symptoms associated with the disease. CBD is one of the components found in indica plant and Cannabis sativa. Unlike THC, it doesn’t possess the psychoactive effects associated with medical cannabis (marijuana). This article examines various studies that demonstrate how CBD may help with Lyme disease. One of the major effects of Lyme disease is anxiety, and a majority of the patients have expressed their dissatisfaction with the pharmaceutical options available to control the condition. In fact, some of the treatment options may lead to more symptoms and side effects among patients. A Neurotherapeutics study conducted in 2015 revealed substantial evidence that demonstrated CBD’s ability to lower anxiety in patients dealing with anxiety disorders and healthy individuals, too. Patients dealing with chronic anxiety have often been advised to keep off cannabis since THC can amplify the problem. However, this study suggests that CBD may assist in reducing specific anxiety disorders including post-traumatic stress disorder, general anxiety disorder, panic disorder, social anxiety disorder and obsessive-compulsive disorder. According to the peer-reviewed medical journal, CBD may also be used to better the outcome of cognitive behavioral therapy. The compound is yet to reveal any adverse side effects to date. However, the study indicates that more research needs to be conducted to investigate the impact it could have on a person’s body after consistently using it for an extended period. Many Lyme patients often deal with chronic pain. Most of them usually can’t seem to shake off this distressing symptom even after using traditional medicine. The Lyme community is now looking at CBD as a possible palliative option. According to a study conducted by Journal of Experimental Medicine in 2012, this unique compound can repress inflammation and nerve pain. The study used rodents in the experiment. CBD and its derivatives were administered to rodents and were able to repress chronic inflammation and neuropathic pain significantly without leading to analgesic tolerance. The hope is that you can use CBD and other compounds as an effective treatment strategy for chronic pain, without the building of tolerance in your body, a phenomenon associated with traditional medicines. Acne remains one of the most common human skin diseases that is affecting millions of people globally. Despite research efforts, we still haven’t found a curative anti-acne agent that targets its multiple pathogenetic steps and that has favorable side effect profiles. But a study in 2014 raised hopes among many acne patients. The study, which was conducted by The Journal of Clinical Investigation, showed that CBD might be able to suppress acne. The research revealed that the compound reduced the production of sebum, which is an oily secretion from the sebaceous glands in the skin. Additionally, CBD has anti-inflammatory properties that may assist in curtailing acne occurrence, too. A neuroprotective substance preserves the neuronal structure and its function. The die-off reactions that appear in Lyme patients when treatments kill the infection lead to the accumulation of neurotoxins in their bodies. Some of the symptoms associated with neurotoxicity include depression, brain fog, dysregulation of hormones, insomnia, autoimmune conditions, seizures and much more. According to research conducted in 2003, CBD may assist in reducing neurotoxicity. The study revealed that CBD possesses a neuroprotective quality. It blocks the formation of nitrotyrosine, which is necessary for neuroprotection. Additionally, the investigation revealed that CBD might have antioxidant properties enabling it to shield the brain from oxidative stress. The above studies consider CBD to be safe and tolerable for most patients. It’s important to note that Cannabidiol is metabolized in the liver’s cytochrome p450 pathway and may come into contact with other drugs that use the same path including anti-anxiety medication, steroids, pain medication, etc. That means you need to be vigilant about contraindications. Some patients report mild side effects including lightheadedness, digest upset, tiredness and low blood pressure. But the side effects may differ from one patient to the next depending on the dosages taken and the individual’s sensitivity to the compound. You should always consider talking to a doctor before incorporating CBD in your treatment protocol. Will CBD Really Help My Lyme Disease? Many Lyme sufferers are, anecdotally, turning to CBD as an additional option to combat many of the side effects of the disease. Various studies have revealed that it may help reduce anxiety, alleviate chronic pain and reduce acne. It also possesses neuroprotective qualities. Although generally safe, you should always consult with your physician before changing your treatment plan. In the meantime, if your current Lyme treatment strategy isn’t where you’d like it to be, consider seeing if CBD offers you relief from any of the disease’s associated symptoms.